Rare coins are timeless, beautiful, and tangible links to our history. Most often they highlight significant national heroes, symbols, events, or achievements. Undeniably, rare coins are miniature works of art that remind us of our heritage and allow us to go back in time hundreds, or in some cases, thousands of years. The satisfaction of owning something from a bygone era certainly makes investing in rare coins unique. The past decade has confirmed the benefits of owning precious metals like gold and silver. However, most new investors fail to grasp the amazing benefits that a carefully chosen collection of rare coins can offer over time. Rare coins are private and portable wealth that you can see and feel each time you hold one in your hand. They are an ideal choice for prudent investors and have proven to be excellent long-term performers, in addition to a superb hedge. They can also be useful in reducing volatility in a stock portfolio since they tend to move in the opposite direction of many traditional investments. Furthermore, rare coins often move independently of bullion prices, since a very small part of their worth is derived from their intrinsic value. Rarity—The overall rarity of a coin is determined by how many survivors are still in existence. While some coins may have low mintage figures, that is not the determining factor. What matters most is how many are known to still exist today. Thanks to third-party grading by NGC (Numismatic Guaranty Corporation) and PCGS (Professional Coin Grading Service) strict records are kept of how many coins from a given date and denomination they have certified since their inception in the mid-1980’s. These records, called population reports, offer the most accurate data in determining the rarity of a coin. Condition—Beauty plays a major part in the value of a coin. As a rule, the higher the grade the more rare and desirable the coin will be. Coins can fall into two categories, Mint State(MS) or Proof (PR). Mint State coins are those that were intended for circulation. 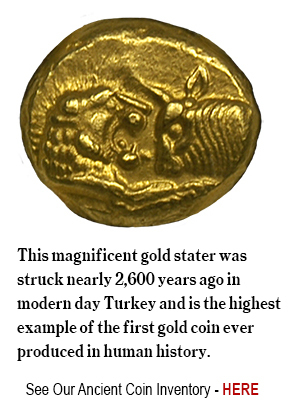 Proof coins were never intended for circulation and were given special care throughout the production process. Demand—This is the driving force that can make something extremely valuable. Factors that create demand from investors and collectors are quality, rarity, historical significance, and a powerful investment track record. If you have the rarest, most beautiful coin in the world, yet nobody knows or cares about it, then the coin will not be valuable. 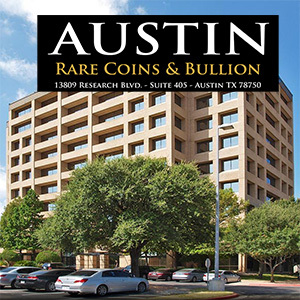 This is where Austin Rare Coins & Bullion’s knowledge and insight really matters most—we help you acquire the best coins for your money. 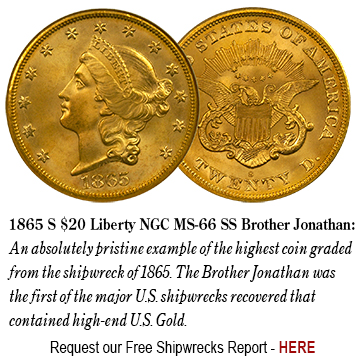 Stability—Unlike stocks and other paper investments, rare coins will never be worthless. There is simply too broad of a base of collectors and investors who want to own these desirable items. 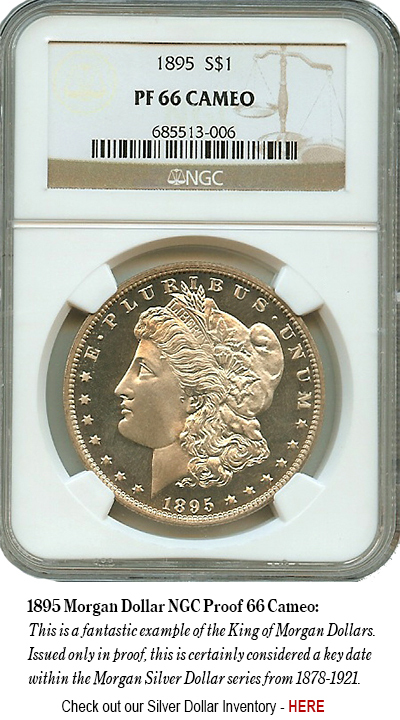 In addition, there is little evidence of sudden price shifts with fundamentally rare and desirable coins. A rare coin’s value is not highly correlated with precious metals prices, offering diversity within your precious metals portfolio. Privacy—We are not required to report your rare coin purchases or sales to the IRS or any government agency. This allows you to take your rare coin investments “off the grid”. 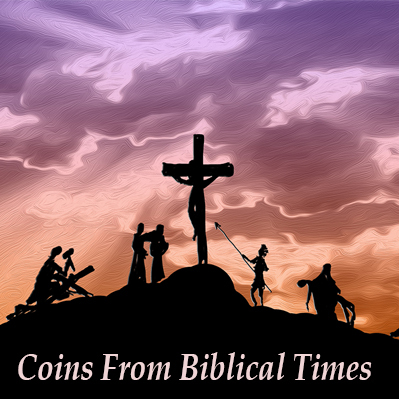 Rare coins are a fantastic means of passing on wealth to loved ones. Portability—Rare coins represent a large amount of value in a small space. A briefcase can potentially hold several hundred thousand if not millions of dollars worth of classic rarities. Profit—It is well known that a carefully chosen selection of rare coins can show substantial appreciation over time. With a growing base of investors and collectors, these coins are only becoming more rare and desirable. The supply and demand fundamentals are extraordinary. Affordability—Truly classic, rare coins can be acquired for all budgets. Some of the most appealing buys in the current rare coin market are as little as a few thousand dollars! Proof Coinage—Pre-1933 U.S. Proof Gold or Silver is the most visually appealing material available in the marketplace today. Mintages for all proofs are very low and the collecting base is vast. Proof coinage has proven to be one of the most profitable areas of this market, bar none, because of the beauty, extremely limited supplies, and broad demand. Because each proof was given special attention from the start of the minting process, their level of eye appeal is breathtaking. Key Dates—The term refers to a specific date within an issue that is hard to locate due to either a low mintage or survival rate. Normally, key dates often occur as a result of low survival rates. Key dates often called “stoppers” have been and always will be in great demand from collectors and investors. Because of their limited supplies, key dates trade for several times the value of common issues within the series. Orleans Mint opened followed by San Francisco in 1854, Carson City in 1870, and Denver in 1907. Coins produced by branch mints are generally rarer than their Philadelphia counterparts. Condition Census—This refers to the top five or so examples known in the world today for a particular issue. Savvy investors and collectors always desire the best, whether it be automobiles, artwork, or antiques. The population reports issued by NGC and PCGS allow us to pinpoint whether a coin falls in this category. Condition census and finest known coins have performed extremely well over the past years. Ancients—The allure of owning something from over two centuries ago is undeniable. While some issues of U.S. coinage are considered rare with a few hundred examples in the world today, consider owning an ancient coin from 2,500 years ago that is one of perhaps a few dozen known. The artistry, rarity, and history are unparalleled. A carefully chosen selection of rare coins offers investors and collectors many advantages not found in other investment areas. 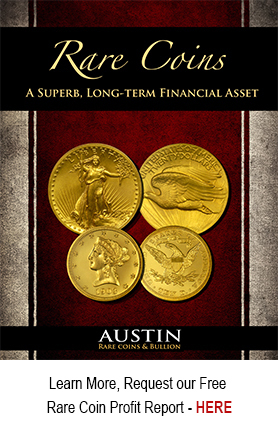 Austin Rare Coins and Bullion has an impeccable reputation in the industry and we handle many of the finest rarities known in the world today. Over the years, we’ve found the key to success is working with someone you can trust. Our vast knowledge and connections within the precious metals industry allow us to acquire the most desirable coins at the best prices. We can work closely with all budget levels to ensure you get the most out of your rare coin portfolio, whether your primary goal is profit, enjoyment, or both. We understand that this is a new investment area to most and we are prepared to educate and guide you through the process from start to finish. 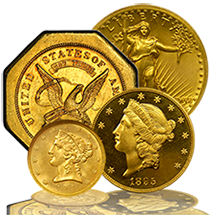 We have decades of experience in the rare coin market and our specialists are here to help in any way possible. 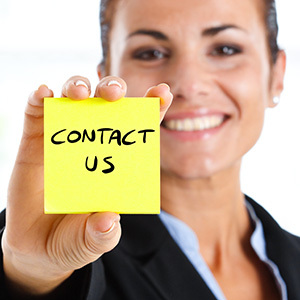 When the time comes for you or your heirs to liquidate your collection, we can and will pay top dollar. With our intimate ties in the coin business and network of dealers, we can help you realize the most money for your holdings. Remember, great coins are hard to find and we will make competitive offers when the time comes to sell. How has the Overall Market for Rare Coins Been Performing?